On the 21st of April 2016, Pefaco Hotels took part in the meeting organized by the Foundation Perspectives d’Avenir at the sports complex of Kintélé, inside the Hôtel de la Concorde (Brazzaville). The gathering aimed at getting the young interns of the 1st edition of the Hospitality Training Program of the Foundation, immersed in the hotel industry. The meeting was followed by a sampling session and a demonstration of the trainees’ skills acquired during the month long training. 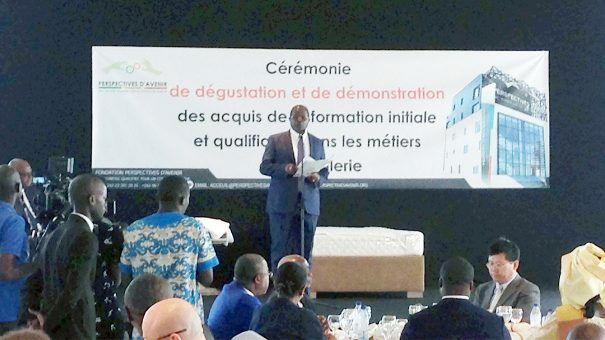 By taking part in this action, Pefaco Hotels commits to its sustainable social policy by helping to promote qualified training programs for the Congolese youth, leading to the development of the Republic of the Congo and its population.